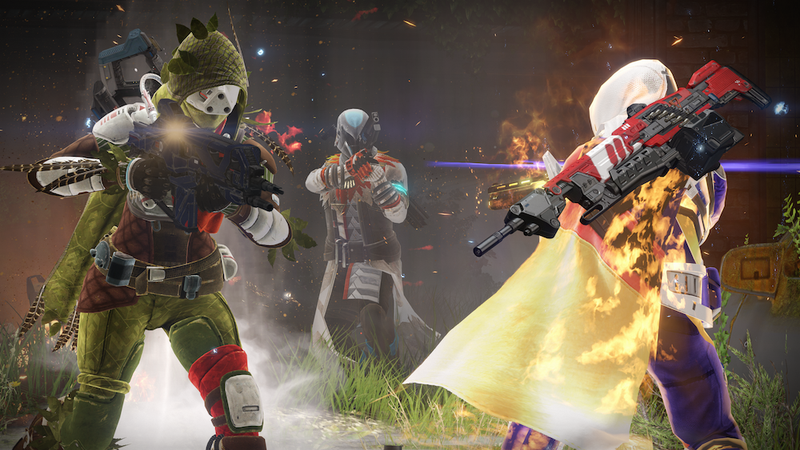 Destiny is getting microtransactions, sources tell us. Don’t freak out too much, though: We hear this paid DLC will be limited to cosmetic items like emotes and sparrow skins. And the developers at Bungie will be doling out free content every few months until next fall. This is all part of a new plan that could start as early as this month, according to two people familiar with Destiny’s development. Rather than sell big expansion packs like they did last year, Bungie is planning on giving out quests and missions for free, sources say. This will likely involve big drops every few months until the fall of 2016 but could also include trickles of smaller stuff throughout the year. That means the game’s next paid expansion will be Destiny 2 in the fall of 2016, as has been known for a while now. That’ll be $60. You may remember a marketing slide from earlier this year that discussed a two-year roadmap for Destiny. Turns out that slide is out of date—instead of selling two big packs of downloadable content over the next year, Bungie is going with cosmetic microtransactions and free content. It’s likely we’ll hear more about Bungie’s plans soon. Stay tuned. UPDATE (6:39pm): At around 5pm ET, we reached out to Activision for comment on this story, giving them a deadline of 8pm. Shortly around 6:30pm, a representative told us they would be announcing the news themselves, which they did here. Sounds like the microtransaction store will open on October 13.